In-form Crystal Palace forward Wilfried Zaha took the plaudits from manager Roy Hodgson after helping the Eagles secure a fine 3-1 win at Burnley. 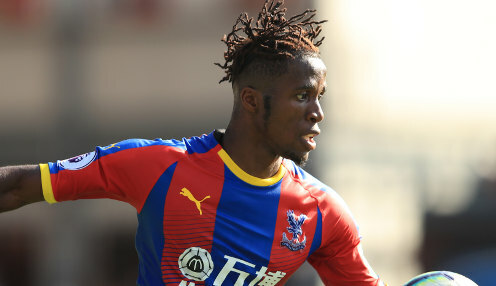 Ivory Coast international Zaha found the net at Turf Moor to take his tally to five in his last five Premier League games, having previously gone 16 league games without a goal. Wilf was good, he's always good. And Hodgson was delighted to see his charge continue to add goals to his undoubted skill and trickery on the ball. He told reporters: "Wilf was good, he's always good. He's in good form at the moment. "He's a dangerous player to have to mark if you're a defender when he gets the ball, because he's an extremely good dribbler and he's got not only dribbling skills, he's got strength to add to that. "At the moment he's in good goal-scoring form." Victory for Palace at Burnley made it just one defeat in their last six league games and was also enough to lift the Londoners eight points clear of the relegation places. Next up for the Eagles is a visit from Brighton next Saturday, with the clash between the two sides at the Amex Stadium earlier this season having ended in a 3-1 victory for the hosts, despite them having Shane Duffy sent off just before the half-hour mark. Last season the game at Selhorst Park finished 3-2 to the hosts, with Zaha scoring twice and all the goals coming inside the first 34 minutes of the game. Palace are 10/11 to win the game next weekend and are 15/2 to do so by a 2-0 margin, with Hodgson's men now 11/2 to finish in the top half of the Premier League table.